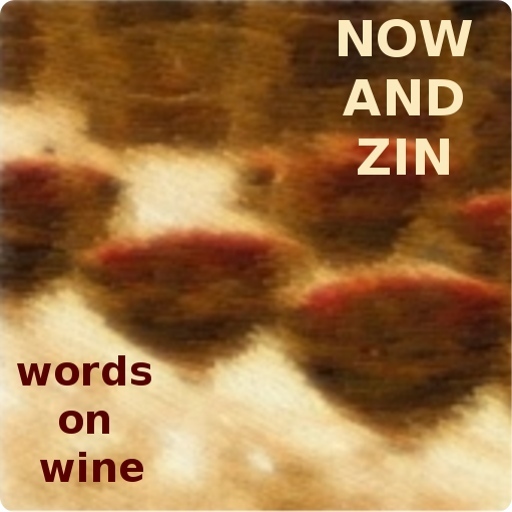 We have visited Pennsylvania before in the Now And Zin Wine Country series. At O'Donnell Winery, Norbert O’Donnell makes due in a cold climate quite nicely with grapes taken from slightly off the usual wine grape path. Awhile back, O'Donnell wrote to suggest I get in touch with Sam Best of Lakeview Wine Cellars in northwestern Pennsylvania. The pair met while taking some wine classes together and they hit it off famously. Lakeview Wine Cellars is located in the town of North East, PA, even though the community is actually in the far northwestern corner of the Keystone State. The name refers to its position within Erie County. Best tells me that northwestern Pennsylvania is the largest grape growing area east of the Rockies, with some 30,000 acres under vine. The Lake Erie appellation stretches over three states, from Buffalo, New York to Toledo, Ohio. 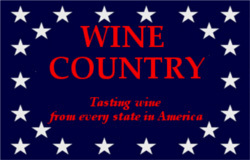 Best proudly notes that the Lake Erie Wine Trail is the fastest-growing wine country in the northeastern US. Best estimates there are anywhere from 150-200 grape growers within 15 miles of his winery. A lot are growing Concord grapes, while some grow Cabernet Franc, Chardonnay, Gruner Veltliner and Riesling. Best says there are three major growers in his area who sell their juice to winemakers. The 5,000 cases of wine produced by Lakeview each year are currently produced with juice from these growers, but Best has plans for grapes of his own. He actually has six acres of Concord, but he is in the process of removing those vines and replanting different varieties like Noiret. That grape was developed by the wine department at Cornell University, an institution as indispensable to winemakers in the northeastern US as Cal Davis is to California vintners. "Noiret is similar to Cabernet Sauvignon," says Best, "with the same type of color and tannins but a little higher in acid. It has a peppery taste and is not as fussy as, say, Pinot Noir." The one-acre plot could take five years to start producing, and Best is looking forward to planting more varieties, too. Best says he specializes in dry reds and dry whites, although he sells about the same amount of sweet wine as dry. His biggest seller at Lakeview Wine Cellars is Red Sky, a blend of Concord and Niagara grapes with a 5% mark on the residual sugar scale. He uses only neutral Pennsylvania oak for fermentation and aging. He also makes a wine using Steuben grapes. Only four of Best’s 13 wines are sweet, clocking in between 3.5% and 5% residual sugar. He makes a proprietary blend of Cabernet Sauvignon and Cabernet Franc and a Cab Franc ice wine infused with chocolate. The grapes for his ice wine don’t come from the freezer. They are picked frozen right off the vine. Lakeview's Shipwreck Series of wines tips the captain's hat to the seafarers of Lake Erie. Best claims there are more shipwrecks on Lake Erie than in the Bermuda Triangle. He says that's due, in part, to an average depth in the Great Lake of only 58 feet. It's the climatic effect of that relatively shallow water that keeps things temperate in the fall and spring. I can’t wait to taste the wines made from Best’s own vineyard, although I’m sure he’s even more anxious. Until those vines are ready, he will continue to use grapes grown by others - the best he can find - to fulfill his passion for winemaking. If his Lakeview Wine Cellars customers can wait, so can he.